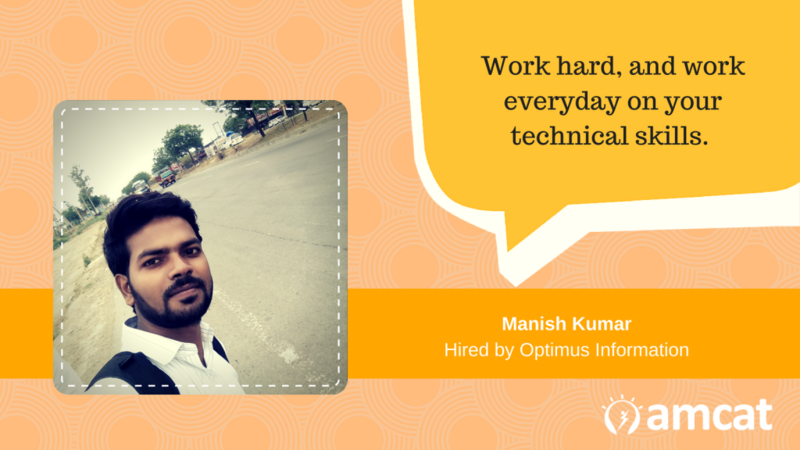 Manish Kumar, our AMCAT Achiever talks about hard-work and presentation. How much does the AMCAT Test actually help? 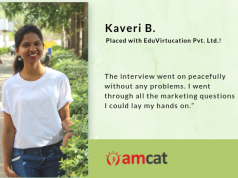 We cannot give you a sure answer, but this AMCAT achiever can. 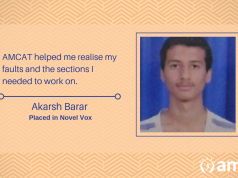 From our vast diary of such achievers, we bring you another gem. This time we are covering the story of Manish Kumar, who turned his dreams into reality with AMCAT. A 2017 graduate from Maharaja Surajmal Institute of Technology, Manish Kumar always wanted to work in the development sector. With a very clear view of what he wanted to do in life, Manish Kumar took the AMCAT test. He found his perfect fit soon enough in a job that was not only tailor-made for him, but which also helped him know himself better. How was the AMCAT Test experience? How many interview calls did you receive after giving the test? “I got a lot of interview calls after the test”, says Manish Kumar. Flooded with numerous calls, the real problem for Manish Kumar was to figure out the right job opportunity that matched his interest and profile. Would you recommend the AMCAT test to others? Manish Kumar does not miss a beat as he replies with a “Yes, definitely”. Last, but not the least. Any tips for other job seekers? Manish Kumar, who is living his dream job and is one of our star AMCAT achievers, has a lot of valuable advice for other job seekers. He talks about the importance of keeping one’s morale up. He understands how the wrong attitude can break your chances of landing a good job, while a right one can up it many folds. Manish Kumar appeared for at least 20 interviews and was rejected in most before he figured out what he was doing wrong. This realisation turned out to be one of the best moves of our AMCAT achiever. You too can learn about your shortcomings and give every interview with confidence with Mock-AI. 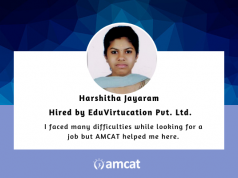 You can further look through our AMCAT jobs portal and find great fresher jobs to start your career with and write a beautiful success story. If you still don’t know where to start, then go schedule the AMCAT test, now. Till then, drop in your queries or doubts in the comments section below.